On December 22nd, 2017. 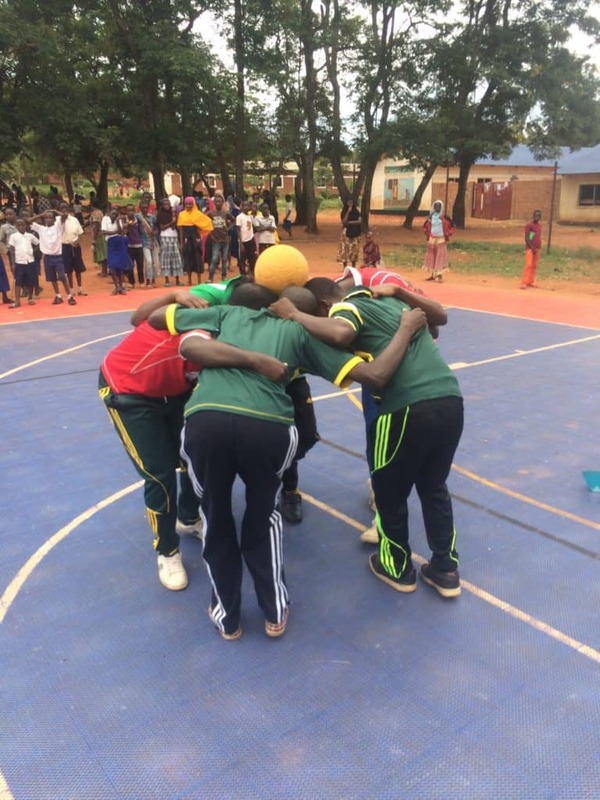 Community Impact Coach, Nicholaus Achimpota, from Tanzania writes about running a CAC program in Kigoma, alone. 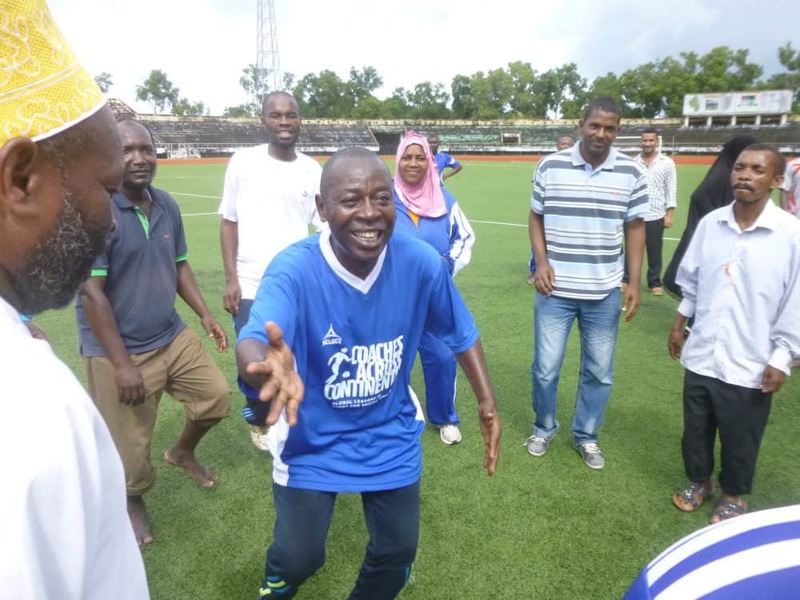 Nico is pictured above from another training he helped run in Pemba, Zanzibar. My name is Nicholaus Achimpota. I have a Bachelor of Sports Science and Management at Ndejje University in Uganda. I have worked with CAC since 2008. 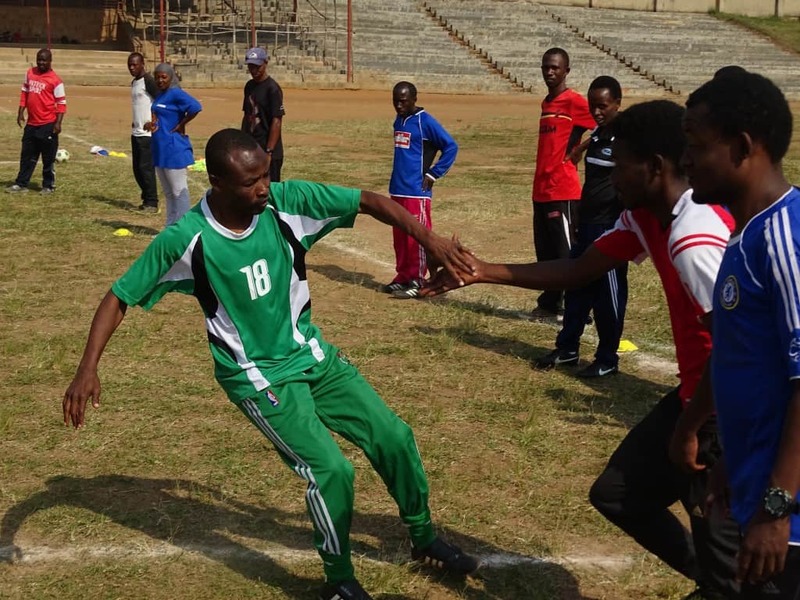 In the last 10 years I have worked with the government as a sports officer in Kigoma, and for 3 years as the Chamwino district update. My job is training and monitoring the sports teachers, conducting workshops and seminars to club leaders, acting as the assistant registrar of the sports association and clubs planning yearly sports programs in my district. I work with 120 primary schools and 28 secondary schools. This week it was my first time to run the CAC program alone. It was not easy to believe that CAC would trust me to run the program in country, completely alone, without the leader from CAC staff – but they did! I was very happy to have this opportunity and I want to say thank you to all of the CAC staff for giving me this work. This means that I opened the door for other CAC members to work in their communities without the direct on-field overseeing of CAC. In the first day the participants didn’t believe what happened. During the introduction for the Sports Officer, Mr. Abdul, everyone was surprised that the program was being ran by me (Nicholaus) because the last year was ran by CAC’s Emily from America. At the end of the first day one of the coaches, Anastasia Busumabi, came to me and she said “Coach Nico, we understood the way you taught and how to use soccer to teach social issues. 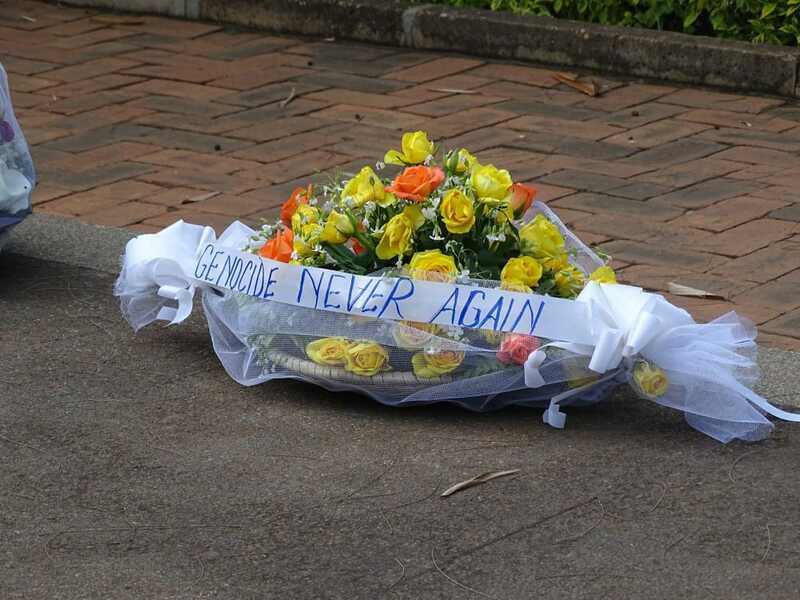 Because of the language barriers, we have feared to ask questions in previous years.” Another teacher Singo said “By bringing you here, it means even us we can do the same as you”. Which is the purpose of the Community Impact Coach program – to empower coaches to be leaders and role models for other coaches in their communities. The five-day program was based on how to use CAC games to prevent social issues specifically teenage pregnancy. So, we emphasized the games for conflict prevention, skills for life, HIV and gender equality. The participants impressed me, and motivated me to do all the best to make sure they understood how to use soccer to teach social issues to the community. It was very fun after four years to be back again to Kigoma and enjoy the nice food that they had to offer. Migebuka is the type of fish available at Lake Tanganyika and was my favorite during my stay. On Thursday afternoon I helped the teachers learn how to play Woodball. To be honest it was a great experience for me to learn and share skills with teachers in my country. Moreover, I never forgot to sing with them the song “Amatosa” and different concentration games. Nothing is impossible under the sun. It is important that all communities benefit with the CAC saying “Smile and solve your problem”. I am the first Community Impact Coach to run a program alone in Kigoma. Many more will follow the way. Goodbye Kigoma. December 14th, 2017. 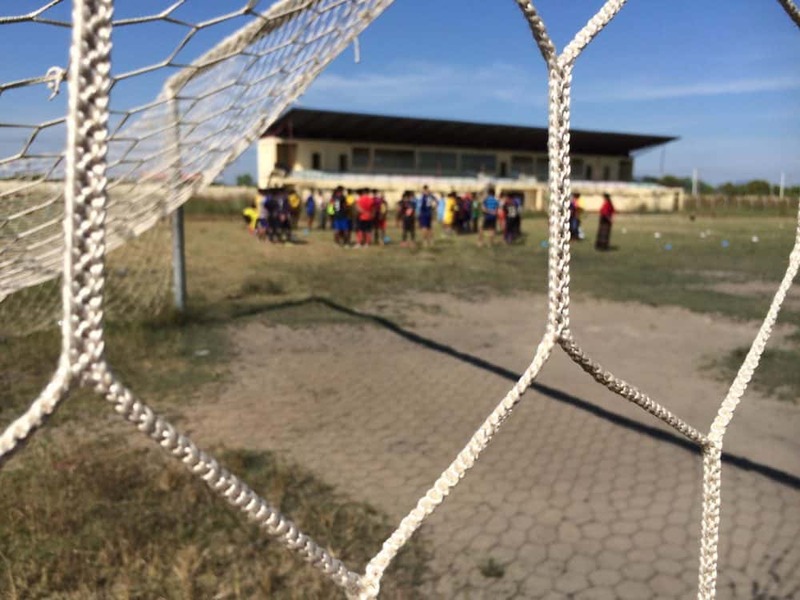 Self-Directed Learning Educator, Mark Gabriel, writes about his personal reflections from the week on-field in Hpa an, Myanmar with Football United. My friend’s dad once told me, “You never know the impact you have on people. Something you do now could impact them forever. You won’t know it and maybe even they won’t know it. Just live it, be it, and have faith.” These words have helped me understand my role as a Self-Directed Learning Coach and Process Consultant with CAC. I do this work because I believe that, by empowering community leaders to challenge the status quo and ask themselves, “Why do I believe what I believe?”, they are able to be the master of their ways. To make sure that any changes in mentality and behavior come from within the community, we as CAC only stay in each location for one week (and continue the year-round partnership from afar). I have oftentimes been asked if I really think anything can happen in just one week On-Field. My answer — yes. This approach allows for the community leaders to be the catalysts of change rather than looking at us to be. The only thing is… if there is change, I probably won’t see it. Change takes time, and that goes for anything. If you want to lose weight, or learn how to meditate, it takes time. And those changes only have to do with you! Imagine when it involves an entire community. Or an entire culture and belief system. Yea… it can take a while. But we are not here to be the change. We are not here to see the change. We are here to spark the change. As a Self-Directed Learning Coach, we constantly challenge ourselves and our participants to self-reflect. This in and of itself can be life-changing for many (it sure has been for me). Questioning oneself, one’s beliefs, one’s culture, one’s existence, is not a frequented practice, but yet its power is incomparable. Each program is unique in its own right, as are the participants. However, the impact of having them ask themselves the “Why?” behind aspects of their life stays consistent. Many a time, it is a first for participants to do such a practice. This week in Hpa-An, it felt much the same. 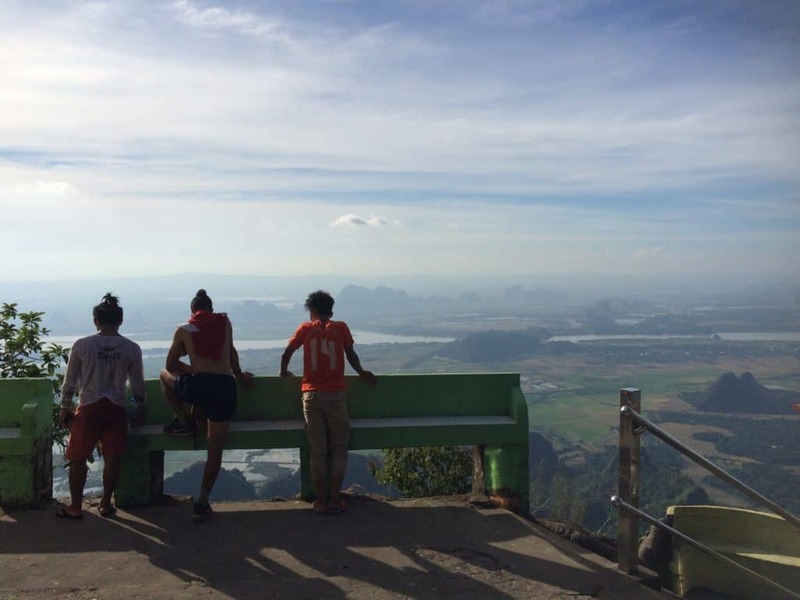 Our participants ranged from players to students to coaches to wannabe coaches, and all were confident in their culture and how life goes in Hpa-An. As they should be! Who knows life in Hpa-An better than them? But once we challenged to think about life itself, and not just in the context of their home, the gears began to spin. Having them question when to award a team a point (do you award the team that finishes first or the team that does it right? Why? 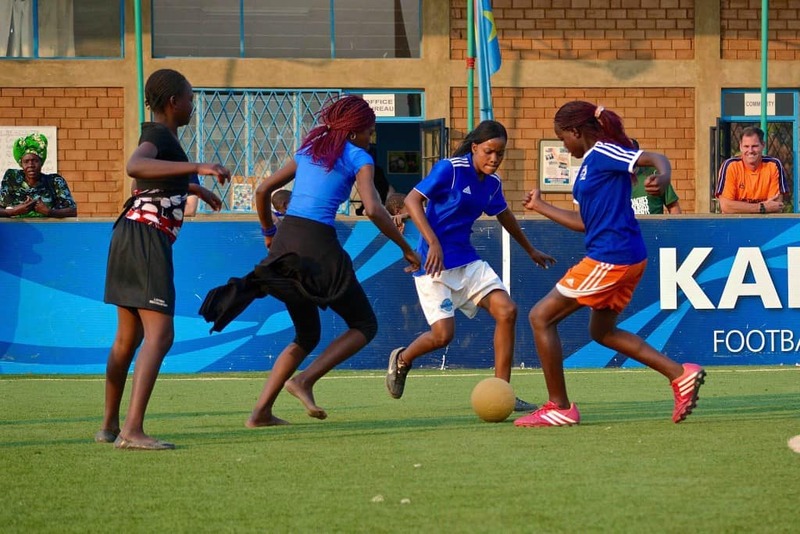 ), the importance of competition, who can/cannot play sports, what are the differences between man and woman; these questions transcend any cultural norms but find people answer through their own perspective, influenced by their upbringing. Even as a facilitator of these programs, I still find myself falling back to my own culture to paint a picture of the world. Each program I lead, I find myself being challenged more and more to break my tainted perception. This shows us how much our nurture impacts our views on the world. Such realizations and the following inter-personal reflections are what will lead to change. As of right now, what will become of Football United in Hpa-An is a bit unclear as it is in the beginning stages. It would be easy to be discouraged by the lack of “impact” when looking at sheer numbers of trainings, numbers of coaches, number of players worked with, etc. But impact is much more than these quantitative measures. If our training led to one participant challenging her or hisself, the potential impact is limitless. Maybe I won’t be the change, or see the change, but maybe I hear of the change. One day. December 23, 2014. 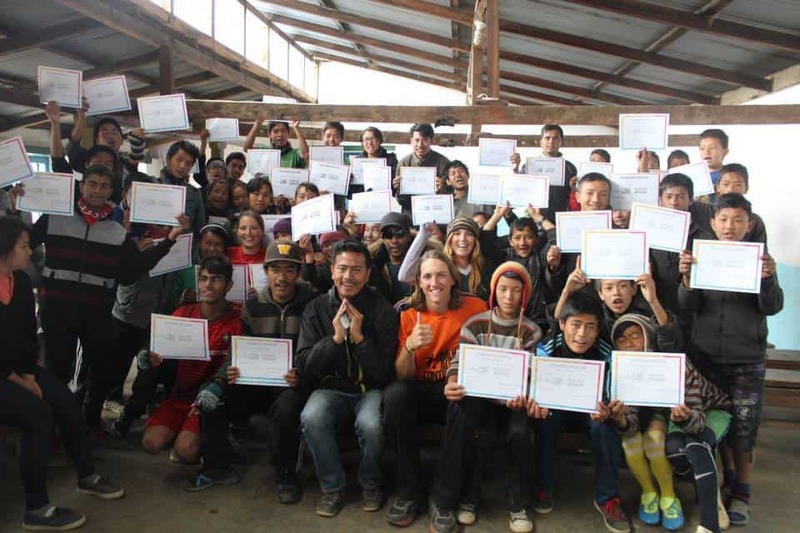 Volunteer Alison Pleiman details her final week with CAC in Nepal after four weeks with us On-Field in India. 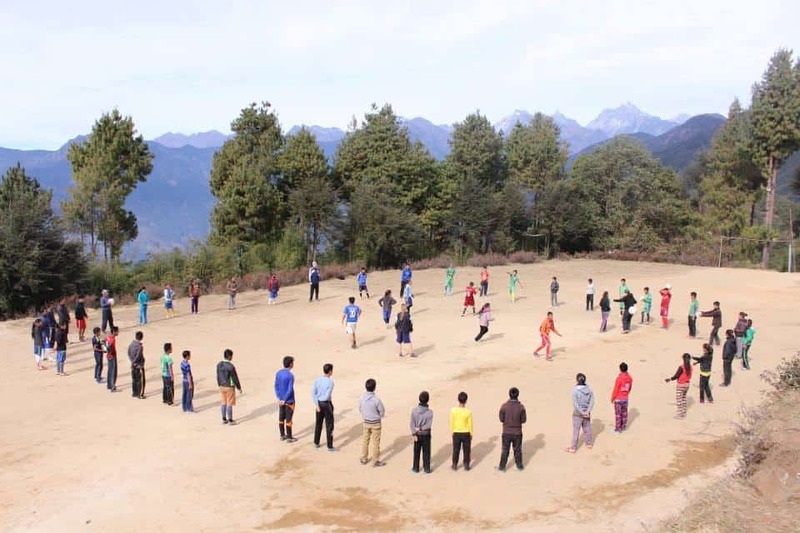 Namaste from Nepal, where CAC and Childreach Nepal combine forces. Upon meeting our partners in Kathmandu, we embarked on a journey out of the city and into the mountains for a week of training up in the clouds. Together we bounced 5 hours up rocky, winding roads through quiet village life and slowly transitioned into a calmer reality. Cutting around cliffs and sliding along streams, we passed farmers with their crops, cows, goats, chickens, and smiling children. Mesmerized by the nature all around us, it seems every turn brought a new breathtaking view. Gradually rising to 2800m in the Langtang Valley region, we arrived at our destination: Yangrima Boarding School in Sindhupalchok. This school was started in 1986, bombed in 2006, and rebuilt/reopened in 2009. This establishment has huge potential to impact the community, with many teachers and students traveling hours each day to attend. It quickly became clear that we were a great match with Childreach. Their current project ‘My School, My Voice’ is working to create a Child Parliament that gives young leaders in schools the chance to come together and speak out, seeking solutions for the main challenges they face in their community; Childreach aspires to cultivate a population of child leaders by increasing education and spreading awareness for child rights. Many of their objectives fit nicely into CAC’s self-directed learning model, so we were excited to work together this week and add an extra level of help through futbol. The main social issues identified at the onset of training helped us zero in on their top priorities. When the participants were propositioned to vote privately for what they felt was the biggest issue in their community, child labor was the resounding response, closely followed by corporal punishment. (Gender discrimination trailed just behind, as did child marriage and child trafficking.) Given this feedback, our curriculum this week would be devoted to child rights, in addition to our usual mix of games covering life skills, conflict resolution, problem solving, and health. 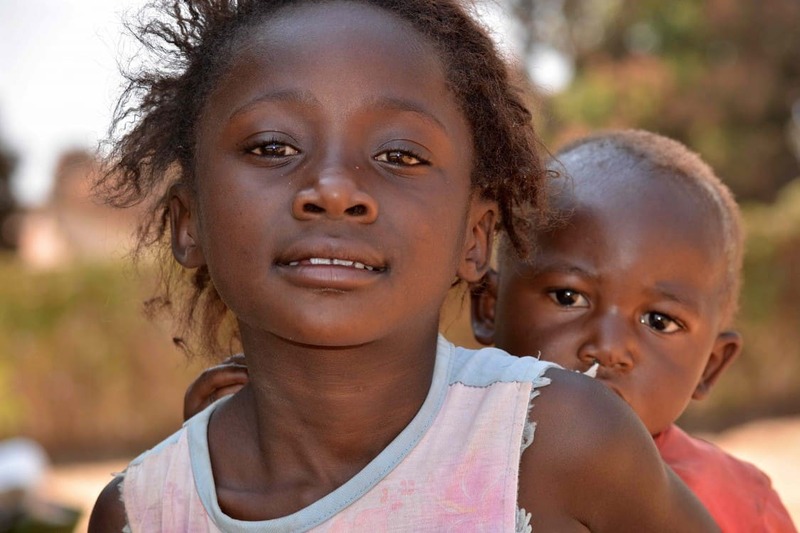 Specifically targeting child labor and corporal punishment, this focus enabled us to have strong discussion throughout the week about types of abuse and their negative effects. For example, with our Right to Fair Punishment game, the winning team gets to choose the punishment for the losing teams– so after observing punishments become harder and harder, more physically demanding, we were able to talk about ‘when is it ok to be punished?’ Some responses were ‘when you make a mistake.’ Others were ‘repeat mistake.’ One participant tried to explain that beating is ok if kids are lazy and need a push. This opened the floor up for some negotiation. Does beating have to be the only way to get the point across? Fortunately someone suggested maybe by doing work around the school or extra activities, the child can learn the same lesson without the abuse. ‘One problem, many solutions’ is a key CAC phrase that everyone was shouting out by the end of the week. Also, they were able to experience how CAC uses dancing as a fun form of punishment in our games, as long as it’s not humiliating the child, and this new idea was very appealing to several members of the group. Mainly, these discussions allowed us to closely examine how some punishments can harm a child mentally and emotionally as well as physically. Similarly, our Right to Play game opened up the floor to talk about why kids should have this right. 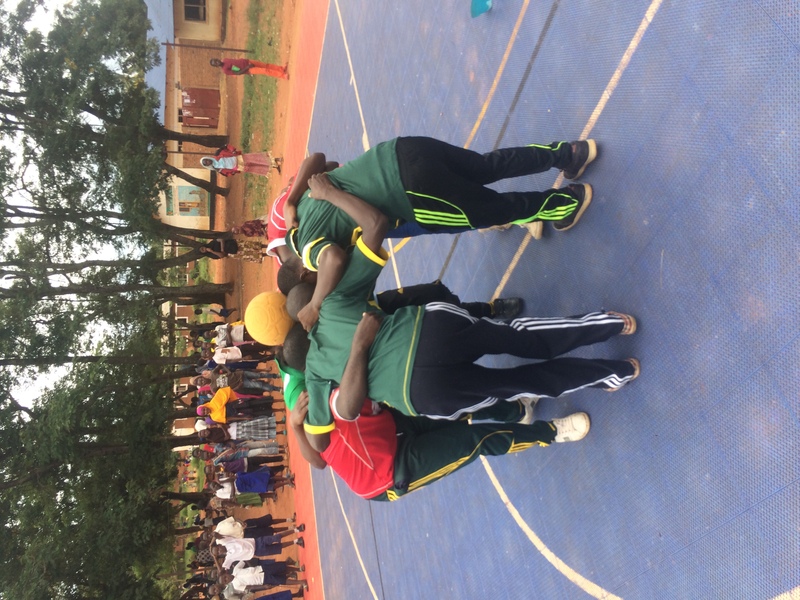 When asked why, the group had difficulty answering beyond ‘physical strength,’ so again we were able to address the importance of mental and emotional development, and why boys AND girls need and deserve the right to play. These are just 2 games among the many that were successful in widening perspective and harnessing the encouragement to ‘fight for your rights’. We covered a lot of ground this week with the help of our dedicated partners from Childreach. They were engaged every step of the way, showing their passion not just for the program but also for life. They were eager to share bits of their culture with us, and it was such a joy to experience the great stories, meals, and music with our new friends. Nepal is truly a special place with people as beautiful as its countryside, and I can’t wait for the chance to come back. It’s been an incredible ride with CAC– working together across India and Nepal in pursuit of social change. This opportunity has been a privilege that’s brought so many amazing people and so much value into my life, all in just a matter of weeks. Thank you CAC for this life-altering experience. December 20, 2014. 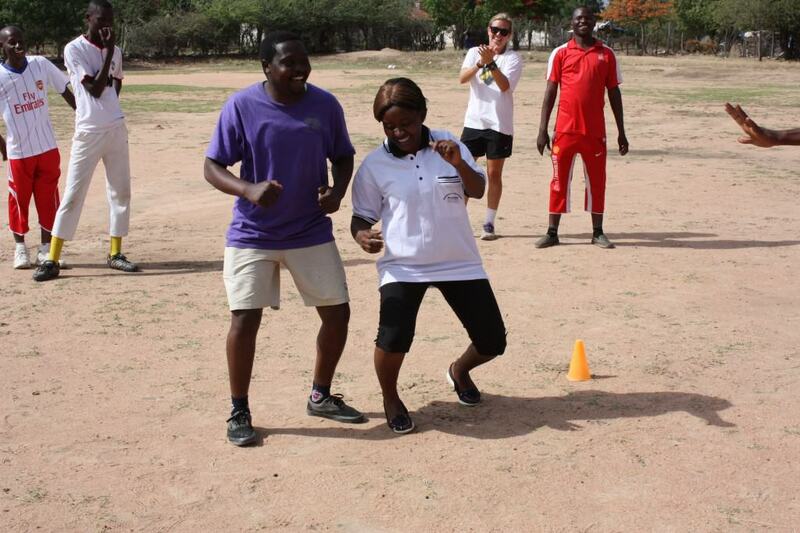 Coach Kelly Conheeney writes about her final week On-Field in 2014 with teachers from Dodoma, Tanzania. 4 months and a couple of weeks ago, I was flying over the Pacific Ocean on a 36-hour journey to Southeast Asia. I picked up my journal and began to write. “and so I’m off”, dated July 31, 2014. It took me several minutes of staring blankly at the title before I could get a single word down on the page. I couldn’t think of where to begin, so I started flipping through the pages of my travel journal and reading the quotes that were printed on the top of each page. I came across one that really stuck with me. “Do not follow where the path may lead, Go instead where there is no path and leave a trail.” I left the page blank. This surely is not the usual path one takes after graduating college. But this is the path I have chosen for myself, and it is changing my life. Cambodia, Indonesia, the Philippines, South Africa and Tanzania; slowly making my way around the world. I have reached the beginning of an end; the last program of my volunteering experience for the year, and in January I will begin working with CAC as a full time staff member. My last destination on this long journey, across 3 different continents and 5 different countries, to cities I have never before heard, and would certainly not have encountered in my lifetime if not for this endeavor. 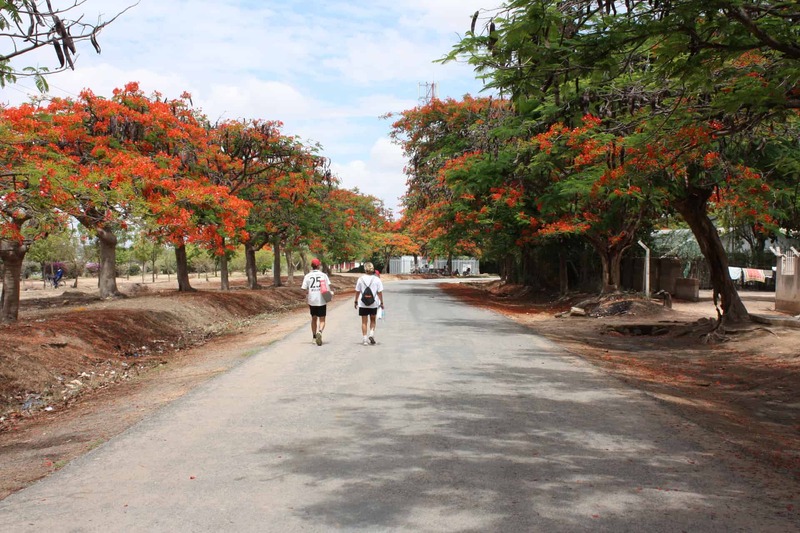 Last stop: Dodoma, Tanzania. Chaos like I have never seen it before. 80 children flooded the schoolyard celebrating the event of new coaches that were about to play football with them. Screams of joy and screams just to scream because everyone else was doing it. As soon as we stepped near the field, the children flocked towards Markus, Nico, Frederick and I. They latched onto us and started asking us questions in perfect English. The school was an international school where English was a predominant language. It was nice to understand the children and to be understood, rather than the usual conversations I have with kids in the couple of words I know in Swahili. Before the session began we got the children together and introduced ourselves. I also felt it was necessary to show off my new favorite dance move I learned in Tanzania they call the “Kaduku”. I called it the “koo-koo dance” inspired by Nora, a CAC staff member who introduced me to the dance move back in Cambodia a couple of months ago. They quickly caught on. After a short “koo-koo dance off” we split the group up into two, and took the field for a solid hour; teaching them Ronaldo Skills and ending with a game of “Mingle Mingle”. It was a difficult session to coach because the children weren’t very disciplined, but the one thing that never changed throughout the session was the smiles on their faces. It was the first school we coached at in Tanzania where I felt like the kids were free to be kids. It was a refreshing session to be a part of; even when the kids were difficult to tolerate I had to look around and appreciate the safe space the teachers created for the children to learn and express their energy and enthusiasm to play. Every afternoon we went back to the international school and were welcomed by beaming smiles and koo-koo dances performed by all. Prior to the afternoon session with the kids, we held a clinic for our coaches every morning from 8 to 11. The value of working with the children in the afternoon is that the coaches we train have the opportunity to coach the games they learned in the morning to the children they work with in the afternoon. It is also a chance for us to give the coaches feedback on the areas where they excelled and areas that need improvement. Since we faced some difficulties with numbers in the session we held the day before, we found that splitting up the children from their classmates was the most efficient way to train. Each coach set up an area in the schoolyard to coach a CAC game they learned earlier that day. The kids rotated every 20 minutes to a new group, which gave every teacher a chance to coach the game three times. It was fulfilling to watch the coaches adapt their games, create their own games and integrate their own creativity into each session as the week progressed. By the last afternoon session of the week the coaches were punctual, prepared at their stations and extremely encouraging towards the children. This week we worked with a wonderful group of teachers. The day before the end of our program, one of the women came up to me and asked if CAC could stay and train in Dodoma for the whole month. She said that on Tuesday morning she woke up with a sore body after our long day of training on Monday, and questioned how she would make it through the week, but by Thursday she had felt better than ever. She raved to me about how she has proved to herself through our training that she is capable of being a strong healthy woman. A realization she came to through the week of training with Coaches Across Continents. I am flying over the Atlantic, back to my home in New Jersey right now, a very different person than I was when I embarked on this journey. I flip back to the page in my journal that I left blank on July 31, 2014 and I begin to write under the quote written by Ralph Waldo Emerson. 4 months and a couple of weeks ago I did not know what kind of trail I would leave, or what paths I would go down that would alter my worldview. But today I can’t stop writing. Whether my trail in Dodoma was left through the koo-koo dance, or the games we played that inspired women to believe in their ability to lead a healthy, active lifestyle, I think this is my mission in the world. Something I aspire to do everyday on this job, leave a trail. 2015 brings new countries, new cultures, new challenges, new experiences, and new communities to impact through the beautiful game!